Earth Day is on April 22. 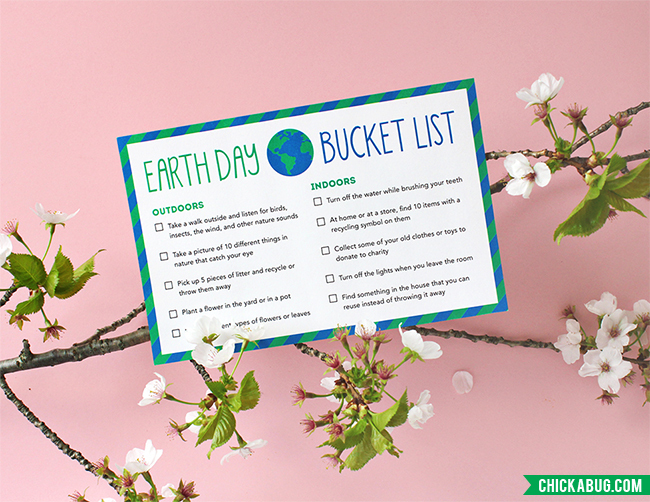 To celebrate, here’s a free printable Earth Day bucket list that will give your kids a fun and enjoyable way to observe the day! I’ve included 10 simple activities that any kid can do, from planting a flower to turning the lights off when they leave the room (something I was terrible at as a kid – sorry Dad!). ; ) The activities are quick and easy, but each one invites kids to get involved by exploring the world around them and learning ways they can help protect the environment. One of my favorite tasks is “take a picture of 10 different things in nature that catch your eye.” How interesting to find out what your kids choose, and why! 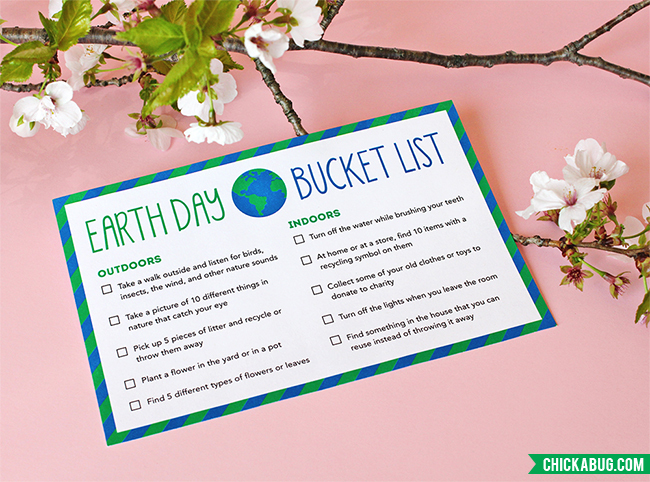 And of course the list also includes tasks that will open discussion about the 3 R’s: reduce, reuse, and recycle. 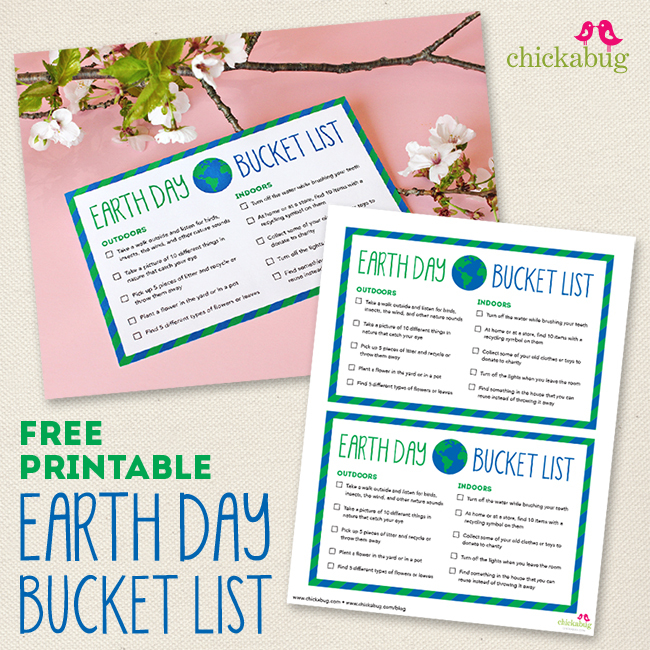 For another fun Earth Day activity, check out my free printable tree planting kit!